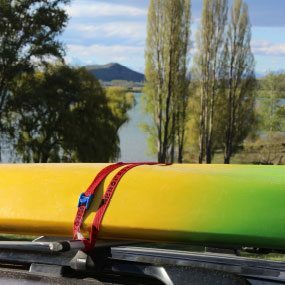 For securing kayaks, canoes, paddle boards and other fragile loads to roof racks. Quick and easy to use camlock. 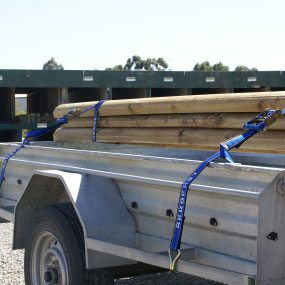 Rubber coated camlock to help protect loads and vehicles. 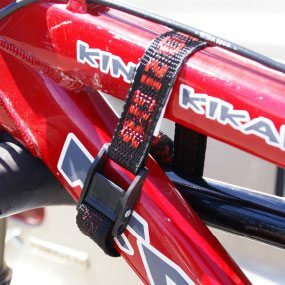 Protective webbing behind tensioning device to avoid damage to load. 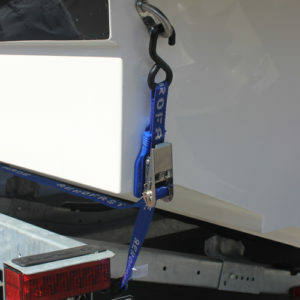 For securing Jet Skis to trailers. 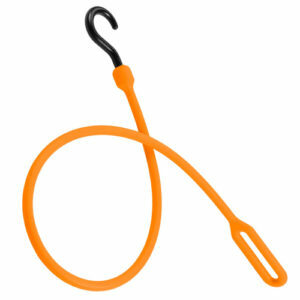 Premium rubber handled ratchet. 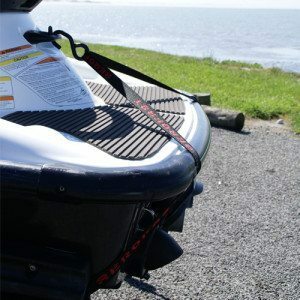 PVC Coated S-hooks to prevent damage to trailer and Jet Ski. 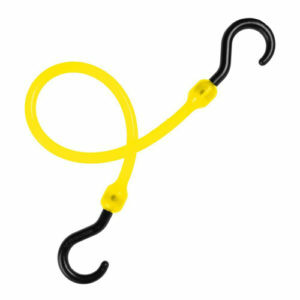 Floating 3rd S-hook for attaching to Jet Ski tow hook. 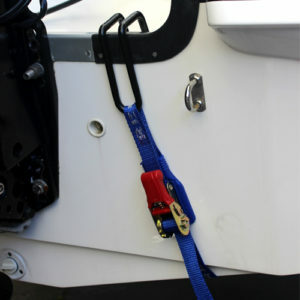 Tiedowns for securing boats to trailers at the transom / stern of the boat. 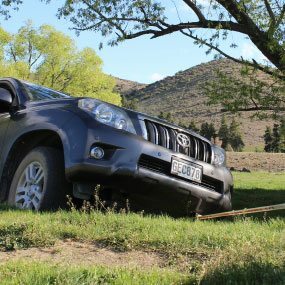 Stainless steel ratchet for extended life. 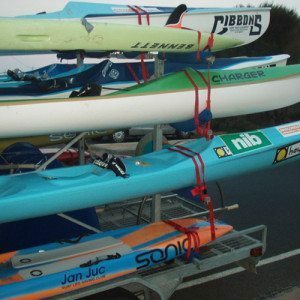 Protective webbing behind ratchet to prevent damage to boat. 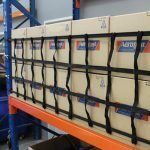 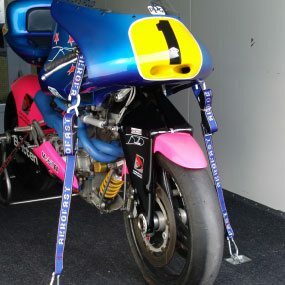 PVC Coated S-hooks to prevent damage to bodywork or trailer. 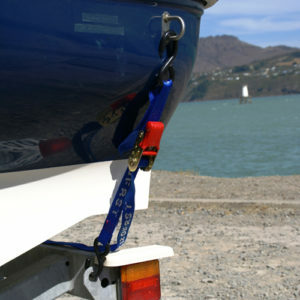 Tiedowns for securing boats to trailers at the transom / stern of the boat. 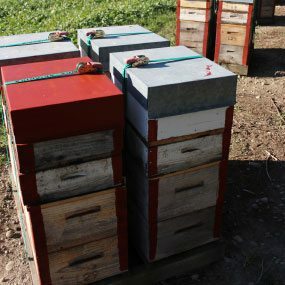 Stainless Steel ratchet for extended life. 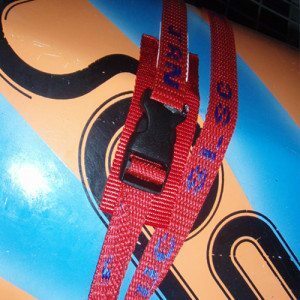 Protective webbing behind ratchet to prevent damage to boat. 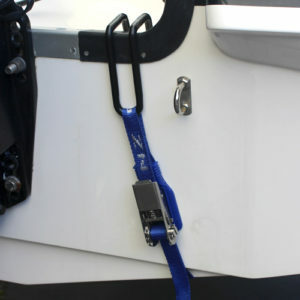 PVC Coated Transom hook which attaches to the stern of the boat. 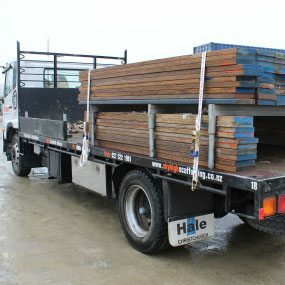 PVC Coated S-hook to prevent damage to body work or trailer.